The Brewers Association announced yesterday the top 50 breweries based on beer sales volume. They have two lists, one for independent craft companies and one for all breweries. 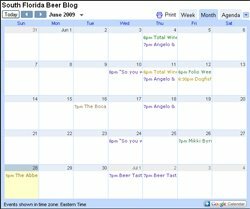 The highlighted breweries are the ones you can find in South Florida. This link has been saved to my bookmarks. Great checklist of places to visit and enjoy the product of. Thanks for sharing the list!